One-stop customized catheter solution for your medical needs. Medium wide adhesives are designed to secure larger tubes in a wide variety of hub sizes and shapes made from silicone, PVC and other plastic compounds. TenderFIX medium wide adhesive adheres and secures catheters made from silicone, PVC and other plastic compounds. The versatility of TenderFIX L1 allows for greater securement of larger tubes and hubs of variety of size and shapes. TenderFIX large nasal gastric provides a wide adhesive area to distribute the pull force across the skin surface. Specifically designed for tubes sized 1/16”-1/2” in diameters. 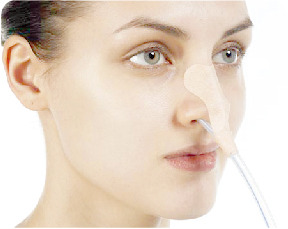 According to the fixed catheter type and fixed location, choose your desired specifications of use. Open the sterilized package with gloved hand and remove the catheter fixed device. (a) Remove the release paper (film) from the skin patch. (b) Place the catheter fixation on the skin of the human body and gently press onto the skin so that the skin patch is in full contact with the skin. (c) Loosen the velcro, remove the release paper (film) from the coated foam sheet, attach the tube to the foam sheet, and fasten the nylon button. (a) Loosen the strap, place it around the required part of the body and tighten the strap after the fixation. (b) Loosen the velcro (or snap) and move the velcro (or the translating slider) to the appropriate position. (c) Place the catheter in the velcro (or snap groove) and fasten the Velcro (or tighten the adjuster knob) accordingly. Your customized catheter solution awaits you. Please contact your local distributor for additional details, pricing and customized catheter solution.